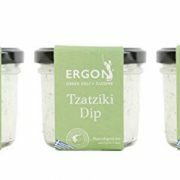 View Basket “Greek Traditional Appetizers Pack of 3 Famous Creamy Meze Salads : Tzatziki + Htipiti ( Feta Cheese Spicy Spread ) + Taramosalata ( Smoked Cod Roe Spread )” has been added to your basket. 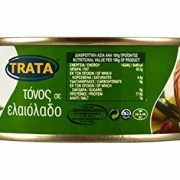 Trata Greek Tuna in Olive Oil : The finest Greek olive oil with a pinch of salt. 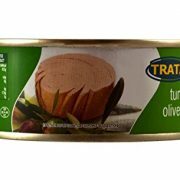 Greek olive oil gives tuna a distinctive and highly recognizable flavor, and an olive oil aftertaste. 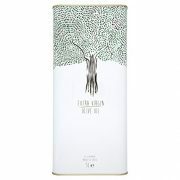 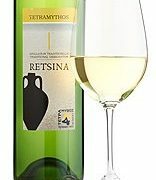 The nutritional value and taste of Greek olive oil have given it a sterling reputation all over the world. 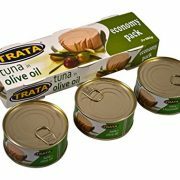 We carefully select tuna, cleaned and precooked, from selected suppliers. 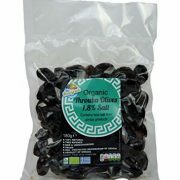 After the quality assurance stage, it is canned together with other flavorful natural ingredients. 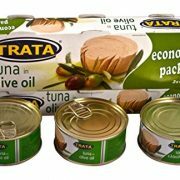 The production of TRATA tuna does not involve any preservatives or flavor additives. 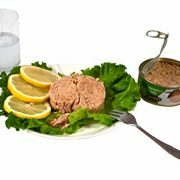 There are countless inspired recipes for flavorful dishes prepared with tuna. 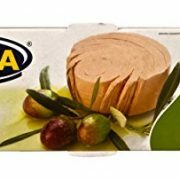 You can use tuna for a light and low-calorie meal or as an ingredient in flavorful sauces that complement pasta and risotto dishes and fresh tuna salads. 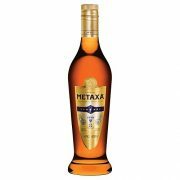 Fished in clear Greek waters of the Northern Aegean Sea, that allow them to develop properly made them known for their excellent, premium quality. 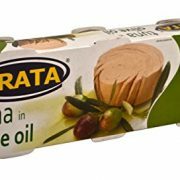 A traditional Greek Seafood, fresh, delicious and tasty as an appetizer or ready meal for your dinner table.Canned from fresh, it retains all its natural flavour and texture. 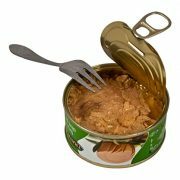 Tuna considered highly nutritious fish because of their high content in Omega 3 Fatty Acids, of Proteins and low amounts of saturated fatty acids. 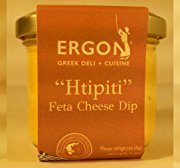 We systematically address quality issues, applying production controls across our line, which adhere to the highest of international standards according to EN ISO 9001:2008 & EN ISO 22000:205 Food Safety Management Systems, of IFS Food protocols and U.S FDA regulations.